Wolf spiders can be a scary surprise when you aren’t expecting to see one. With their speed and ability to leap great distances, people often fear them. Yet these arachnids are both fascinating and beneficial. Here are some facts that you likely never knew about this fun species. 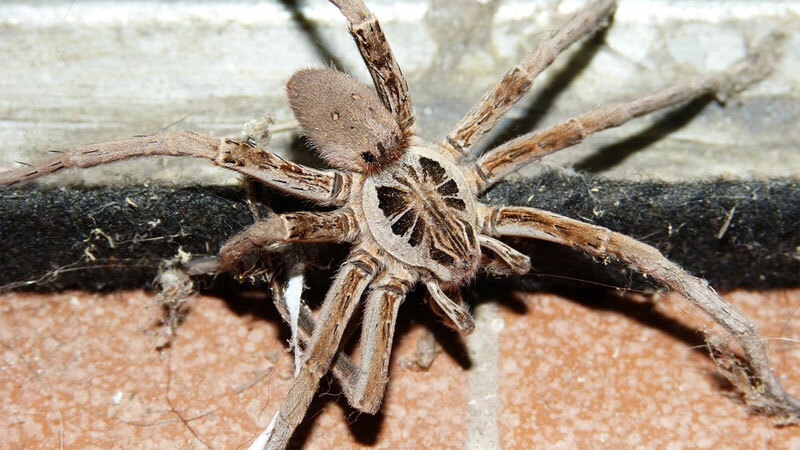 #3 – Move Over, Tarantulas! 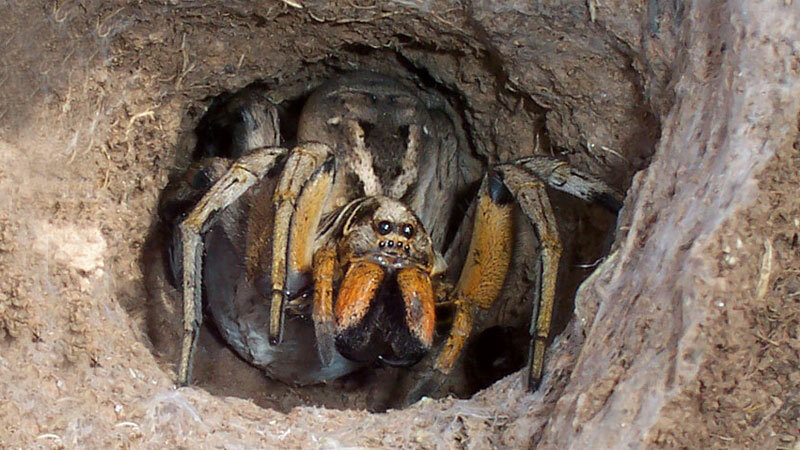 There are over 2,300 species of wolf spider, some as small as a quarter inch and others as large as two inches. These intrepid hunters have traveled to every continent except Antarctica (barring any potential stowaways aboard scientific expeditions) in search of prey and can survive in almost any climate even though they’re not too fond of winter. In fact, some species can even walk on water, thanks to the hairs on their legs! 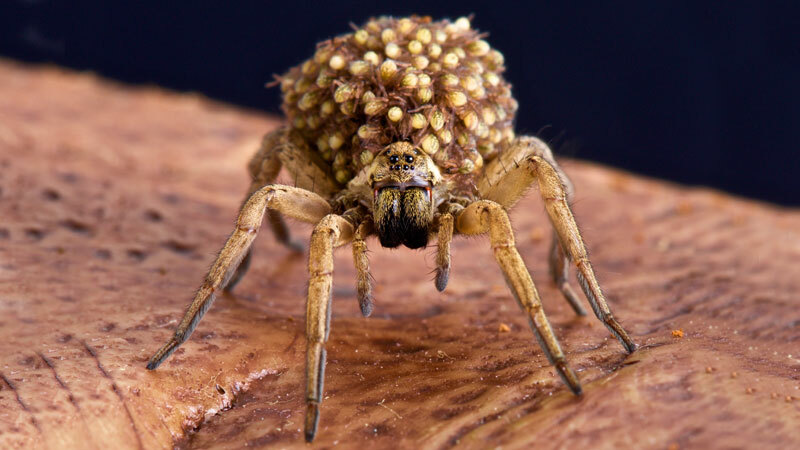 Wolf spiders have a very unique way of handling their young. Much like nesting species, a female wolf spider bundles her eggs in a woven sack. However, she carries the sack on her abdomen instead of hiding it. 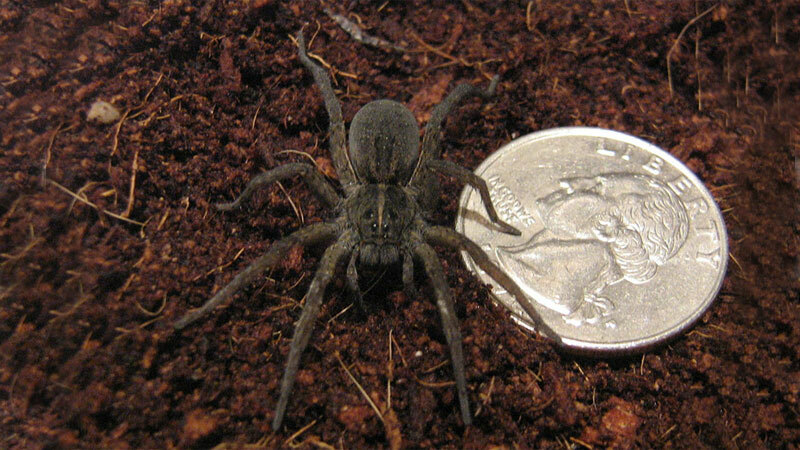 Despite their appearance, wolf spiders are one of the most popular species to keep as pets. They’re very docile towards humans and only bite when frightened. 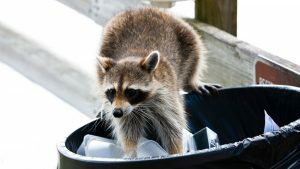 Additionally, their venom will produce some swelling, itching, and pain; but is otherwise harmless to people (barring allergies). Wolf spiders will eat almost any kind of insect, and their ability to pounce means they can grab the fastest of prey. 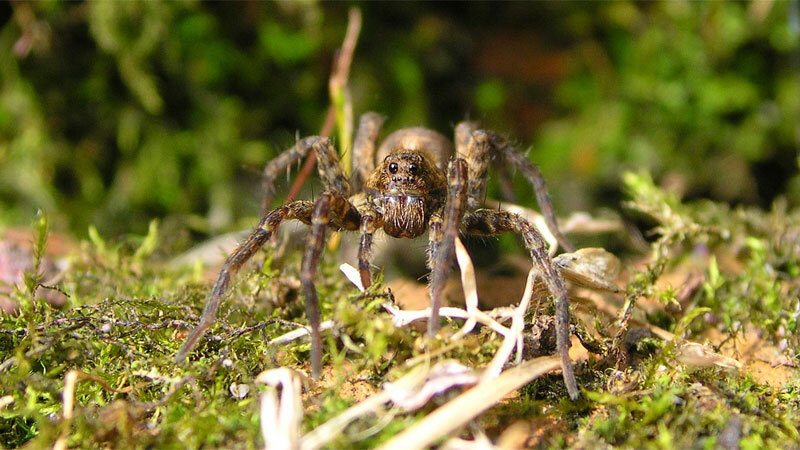 Thus you might be surprised to learn that a wolf spider’s worst enemy is actually an insect. Spider wasps are a parasitic species of wasp that actively hunts spiders, often several times their size. These wasps inject a powerful paralytic venom into their victims, then drag them back to their nest. An egg is then embedded in the spider’s abdomen. Upon hatching, the larvae devours the still-living spider from the inside out. Wolf spiders hail from the family Lycosidae (derived from λύκος in Greek) which literally means “wolf”. However, they didn’t get this name from their furry appearance. 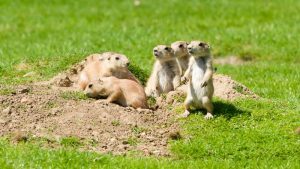 The name actually refers to an early (mistaken) belief that they hunted in packs like wolves. We’ve since learned these spiders are solitary, but the name stuck all the same. 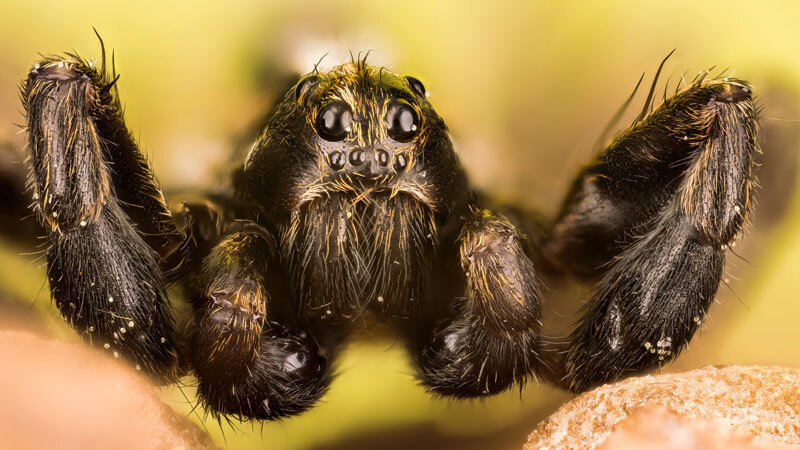 Over the centuries, wolf spiders have been blamed for a lot of behaviors. As mentioned above, they originally gained their moniker from the mistaken belief they hunted in packs. 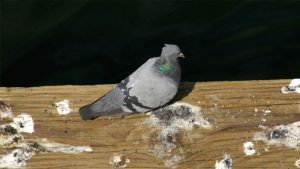 They have also been blamed for necrotic (where the flesh rots) bites in Australia and Africa. Later study of the species accused proved they were framed by other, similar looking spider species in both continents. 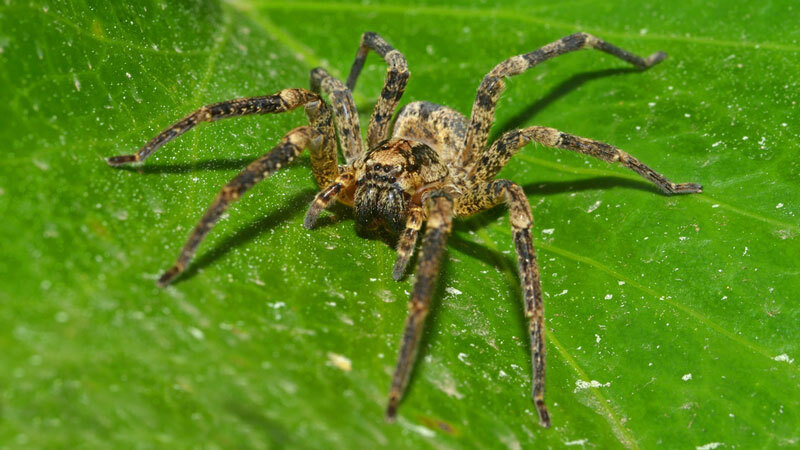 Wolf spiders have the third strongest vision of all spiders, bested only by the huntsman and jumping spiders. Their eyes are arranged in three rows, allowing them to see in four directions at once. As their eyes produce eyeshine (i.e. they reflect light), you’ll easily spot one if you shine a light on it. Wolf spiders are active hunters. Some species lie in wait and pounce from their den, while others stalk their prey. 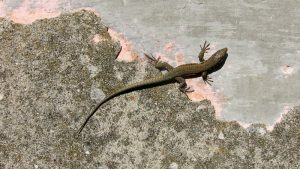 All species have the ability to pounce, with the length of the leap varying from one species to another. A wolf spider strikes quick and has a strong grip. Once one gets you, there’s no escape. 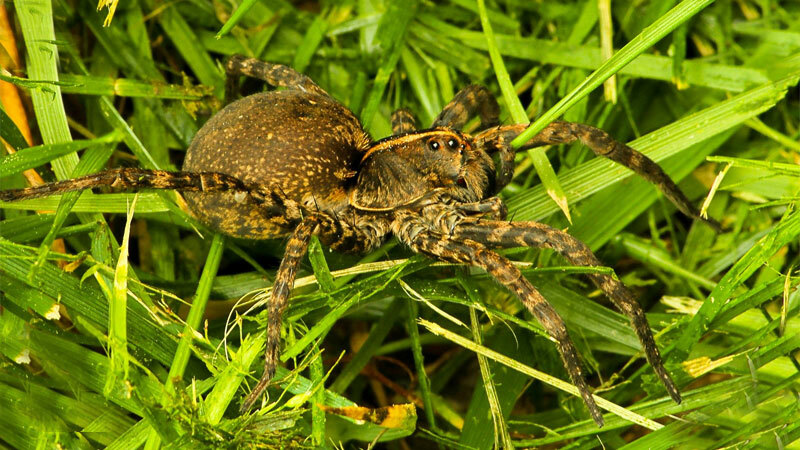 Wolf spiders can also be a welcome resident in your garden. 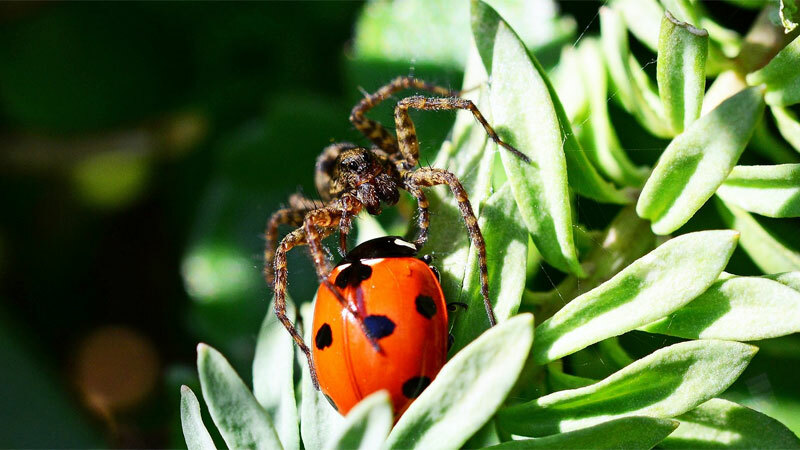 These arachnids won’t harm any of your plants, but love to feast on harmful insects. As one of the most common spiders around the house, it’s much cheaper to have one around than using pesticide, and safer, too!